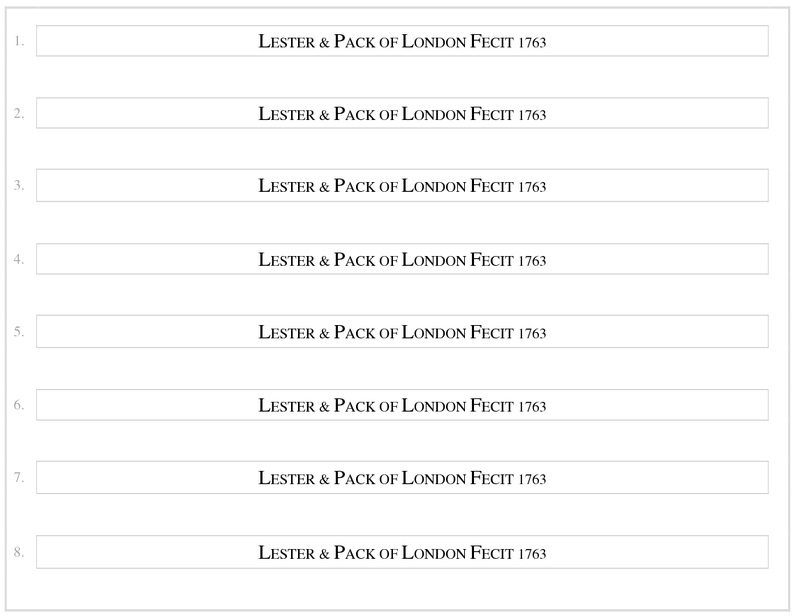 The 1763 Ring of 8. 1639 5 bells cast by John Wilnar for St Mary's, Sandwich. 1667 Tower of St Mary's, Sandwich fell down. 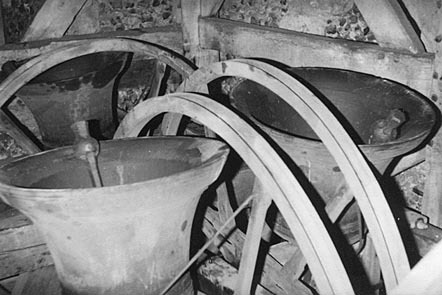 Some time afterwards, the bells were given to Elham. 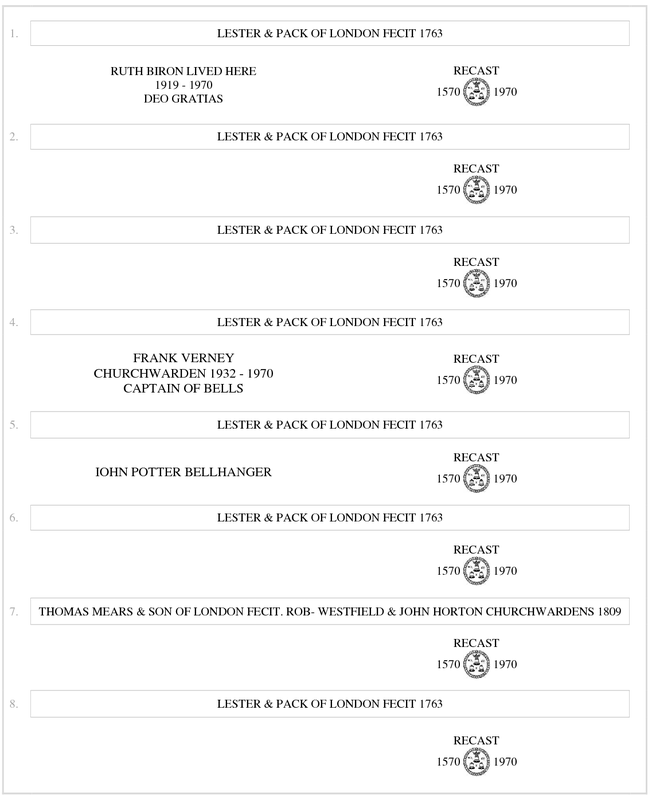 1763 Bells recast into 8 by Lester & Pack. 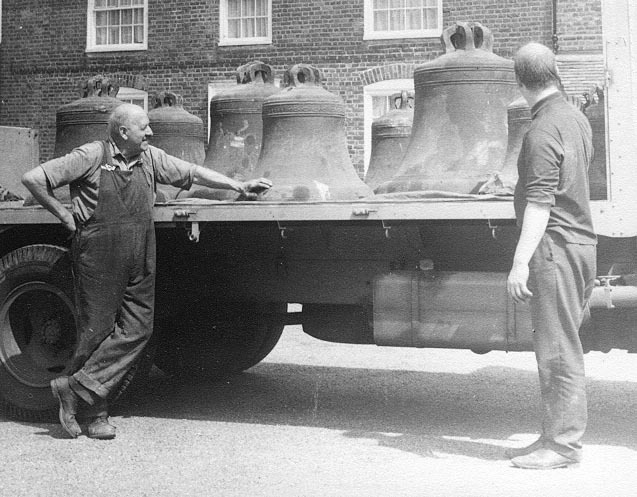 1970 Bells recast and rehung by Whitechapel in the old frame. Harry Parkes and David Cawley with the old eight bells after removal. 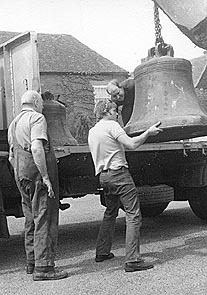 Loading the tenor bell. July 1970. 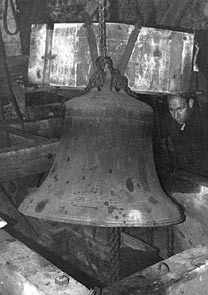 David Cawley, lowering the tenor bell. 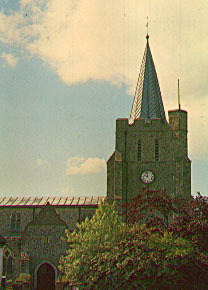 The belfry prior to the restoration of 1970.